O.J. Simpson has reportedly contracted HIV from his transsexual lover in prison! The 67-year-old football legend has been in prison for the last six years, serving a 33 year sentence for a number of felonies including kidnapping and armed robbery. 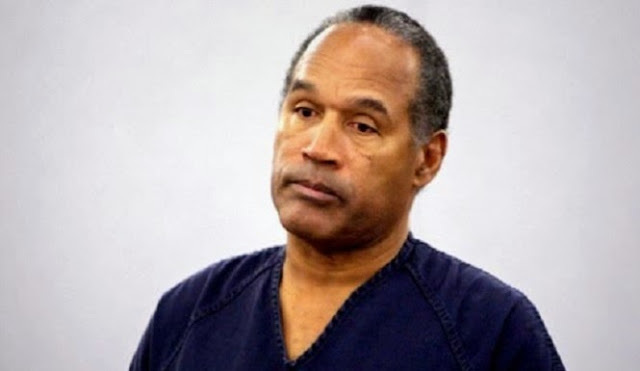 A report from the National Enquirer claims that O.J. Simpson is on death’s door, having contracted HIV from transsexual lover Jazmena Jameson. The news outlet goes on to quote Jameson, who said the 67-year-old Simpson could already be living with AIDS. “I could have given O.J. AIDS!” Jameson told the magazine. The magazine also quoted another friend saying O.J. Simpson is terrified of dying behind mars. “I feel the end coming,” Simpson allegedly told the friend. “But I don’t want to die in prison like common scum,” he said.